Keita Ali only wanted to do one thing - run. He wanted to represent his country in the Olympics, he wanted to be a champion. He believed being an elite runner in Zantoroland would bring him and his family a better life. Keita's father, a well established journalist, had run into trouble. He was investigating the crimes of the Zantoroland government and was eventually killed. After this, Keita is left to fend for himself. Using his passion for running as his meal ticket, Keita flees or Freedom State. Freedom State is an abundantly wealthy state that once enslaved Zantorolanders. Once he enters Freedom State, he goes underground, into hiding. He knows that if he is caught, he will be deported and killed. While Keita works to stay hidden, he comes across a variety of characters, all of whom are struggling with their own battles to fit in and be accepted. This was the first book that I've read written by Lawrence Hill. His words were masterfully put together and resulted in a story that flowed and was engaging all through out. The Illegal is a story of survival, not only for the main character, Keita Ali, but for his supporting cast as well. Each character had their own story to tell. A few were born into wealth, while others struggled to live a happy and fulfilling life. Despite their role, each one was so well crafted that they were easy to relate to and understand. 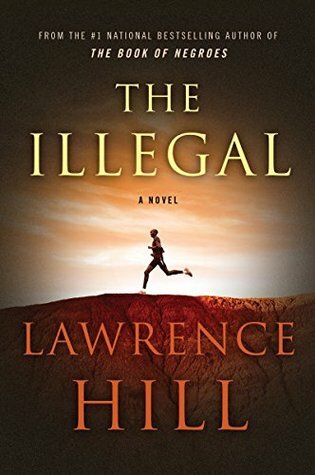 Overall, I enjoyed The Illegal. It is more than deserving of the awards it has won. I think those who read the book will gain a deeper understanding for the struggles that immigrants and lower class citizens have to go through in order to make a living. I believe it will also inspire others as they read about the obstacles and injustices that Keita is forced to live with. The Illegal is being defended in this year's Canada Reads competition Canadian Olympic medallist and author, Clara Hughes. Does it address the topic of starting over? Most definitely. Having to flee your home and make a living in a foreign country definitely fits the bill. In my opinion, this is the most well known out of the five books and it has the most recognizable panellist behind it. The question is, will it all be enough to win Canada Reads?